For this week's oshuji, Ms. Aya taught the children how to write wind (風・かぜ） in Japanese, using both katakana and kanji. It has been a real pleasure seeing the children improve on their oshuji skills. For those who may not be aware, oshuji or shuji as its otherwise known, is a form of Japanese calligraphy. In calligraphy, there are a number of tools we use in order to write. 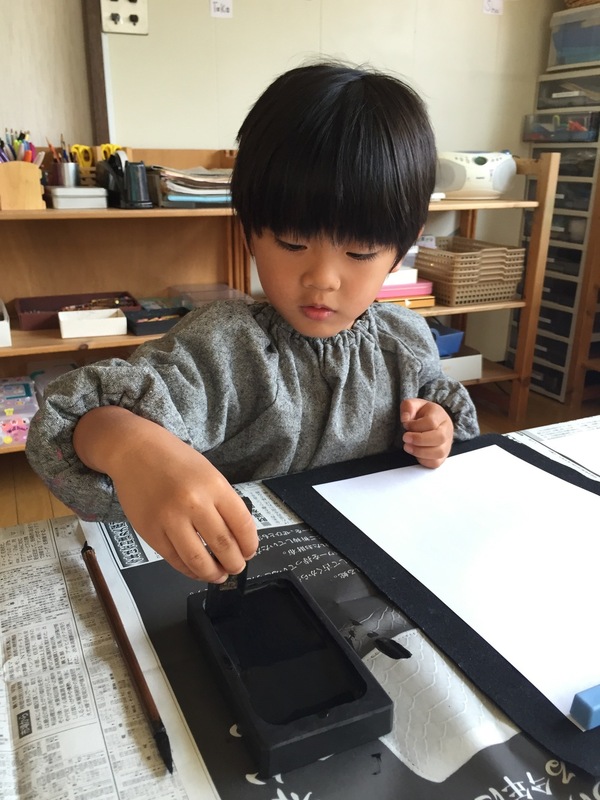 This includes: the inkstick, washi (Japanese style paper) inkstone, paper weight, a cloth and a fude (also known as a brush). However, for this particular project all tools except for the washi were used as we are saving the washi for another art project that will be showcased at the exhibition.